Is there a better alternative to CalcNote? Is CalcNote really the best app in Mathematics category? Will CalcNote work good on macOS 10.13.4? CalcNote is a text-based calculator that supports variables. When you want to calculate something but it's a bit difficult when using normal calculator, you can just write (type) down what you want to calculate. 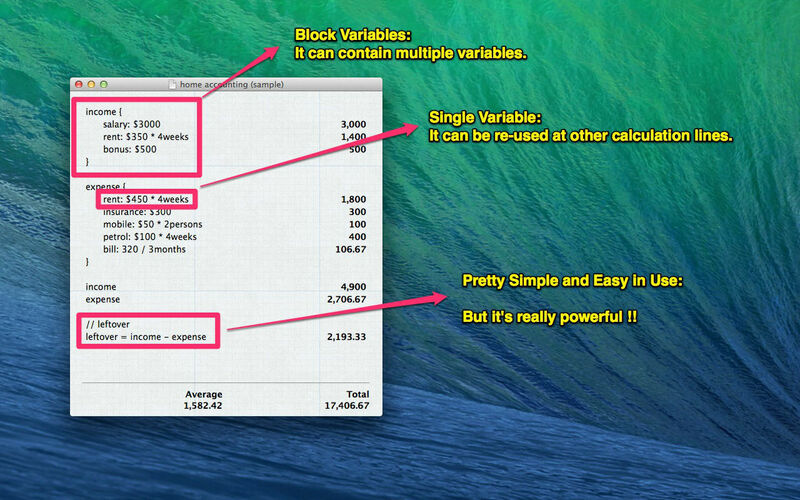 You don't need to worry about calculating history because CalcNote shows all your work and saves it to the text file. Nothing can be easier than this. 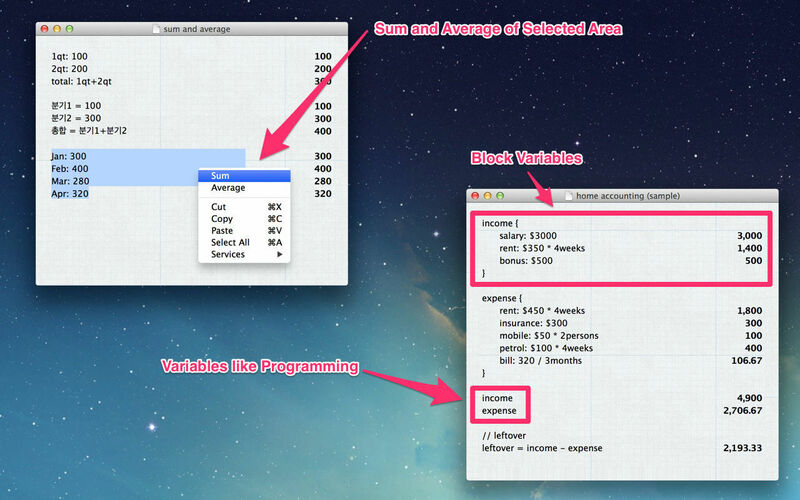 Hard to remember variable names? 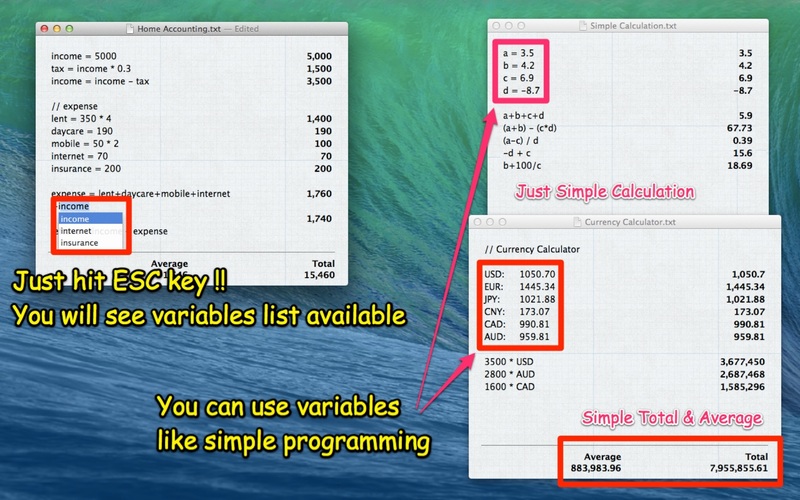 Just hit ESC key and you will see all variables available then you just pick up what you want. CalcNote needs a review. Be the first to review this app and get the discussion started! CalcNote needs a rating. Be the first to rate this app and get the discussion started!